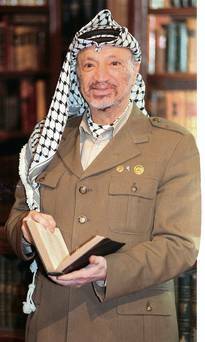 Here is a You Tube link to a nearly 50-minute radio conversation I’ve just had with Hanna Kawas, host of the “Voice of Palestine” in Canada. We covered a lot of ground in a most explicit way. One of the many topics we discussed was, to quote Hanna, the “dysfunctional Palestinian leadership”. Another was the notion that if Palestine is not to become a lost cause, the Palestinian diaspora must stop being intimidated by the “intellectual terrorism” to which it is subjected and become politically engaged. I think the conversation is informative and, to some extent, entertaining.